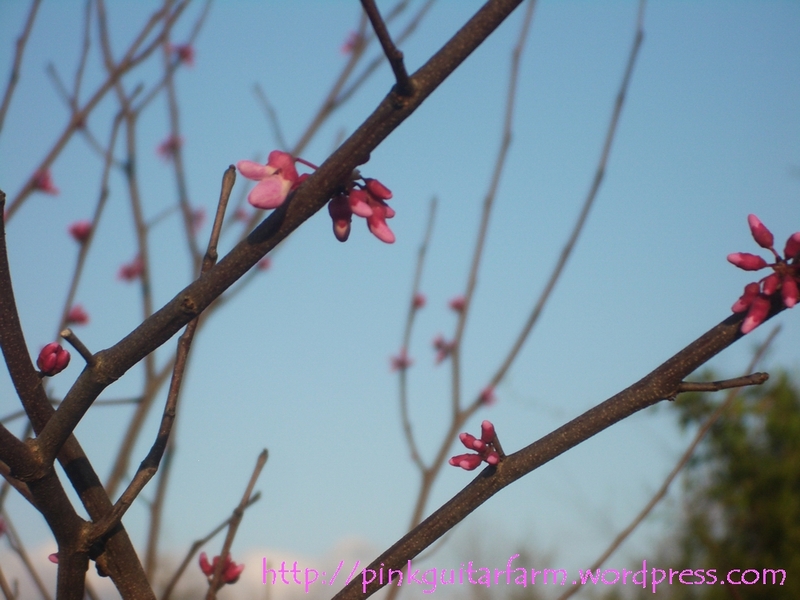 The Eastern Redbud and Dogwood flowers are blooming, reminding us (nagging us prettily) that it is time to plant crops! Here in Middle Tennessee the change of the seasons is so dramatic and definitive I’m awed and humbled each time it happens and in every unique season. Spring must be my favorite where the bleak brown/gray landscape pops verdant green seemingly overnight. Of course this has everything to do with the warmer temps, longer days and frequent rains. 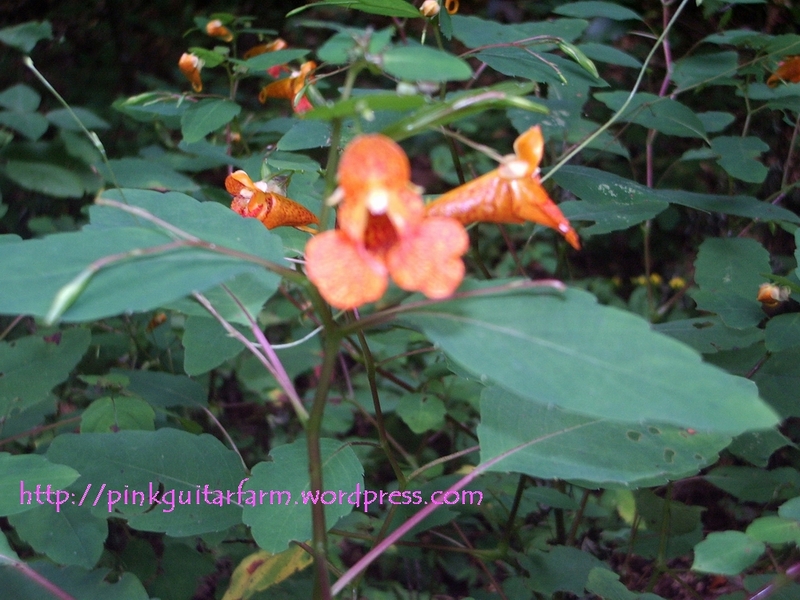 Jewelweed, good for that poison ivy outbreak that also comes with spring! Phenology is the art of observing seasonal changes in a manner that provides clues, reminders or nudges; multiple road signs along the annual gardening loop with hints of what to do and what’s to come. Though Mother Nature is brilliant, you know she’s also facetious because a killing frost does surprise the too early to flower fruit tree as well as those overzealous, impatient gardeners. I would know. Old timers around here might tell you to heed the calendar instead of planting by the moon or using methods of phenology. Plant peas when the buttercups bloom certainly sounds great, but I would have had a little problem had I heeded that advice this year. Old timers keep records and journals of the planting seasons for reference and future planning that go several years out. 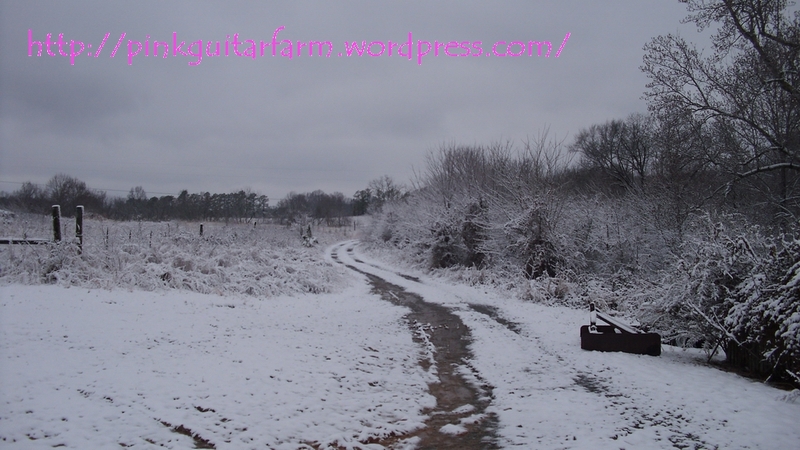 This blog is my record, so for now, spring means planting around the thunderstorms and hoping seedlings don’t get washed away or rot in the ground. Getting the crops in around the weeds and the bugs is a challenge and to do so immediately following the last frost is more luck than art, forget science (we’ll leave the science in the soil for now). Phenology is interesting and valuable in that it reminds me to pay attention to the details provided by nature. Phenology hints that I should feel the rhythm of the anticipated within an awareness of the unanticipated. It’s a dance to a familiar tune performed by unknown musicians. I just want to get the moves right, ya know? 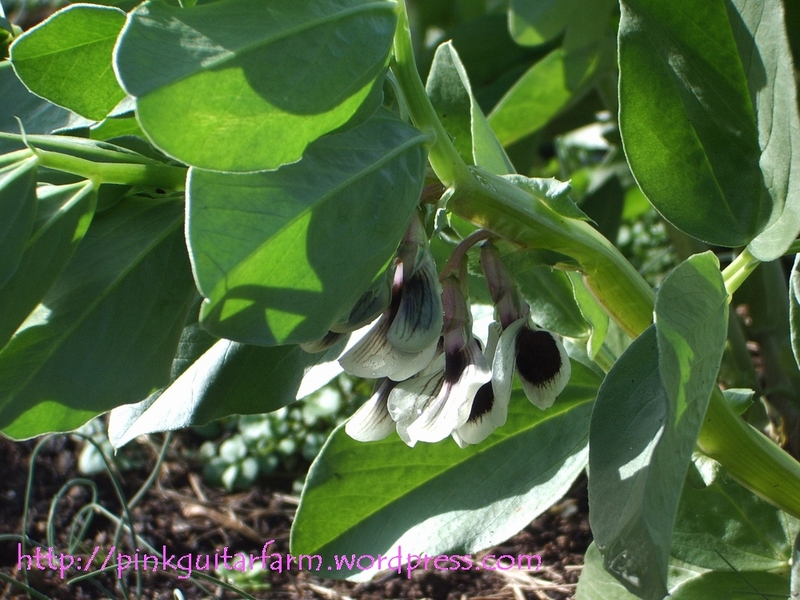 This is a fava bean flower. 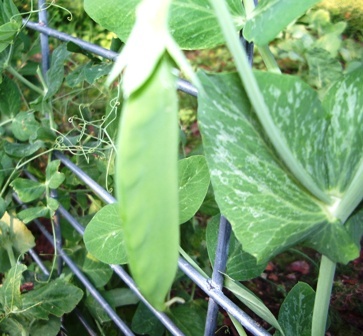 We grow favas in the spring and the fall (if I’m organized enough and the weather cooperates). I am also attempting garbanzo beans (for the first time) and peas of the shelling, snow and snap varieties, a few of the exciting crops here this spring. Driven by the longing for tantalizingly fresh produce, I envision grilled favas, hummus dip and fresh from the vine peas savoring these flavors even before the seeds have germinated. No doubt, a passion for the best ingredients drives my efforts in the dirt. And these dreams do sometimes disappoint with such lofty expectations prior to harvest! Anything can go wrong. Every year is different; luckily something always seems to do well to compensate for what doesn’t. 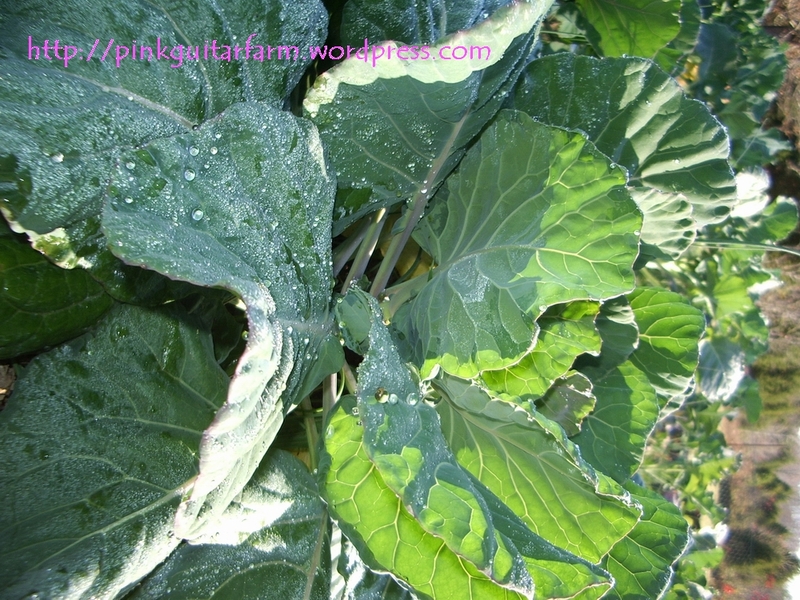 Growing multiple crops in rotation through four seasons and taking precautions with some (transplants) while sowing other seeds with abandon is the best way to guarantee food production on our small farm. Tomatoes and green beans didn’t do very well last year but our peppers and eggplants were amazing. Who knows what this year will bring? 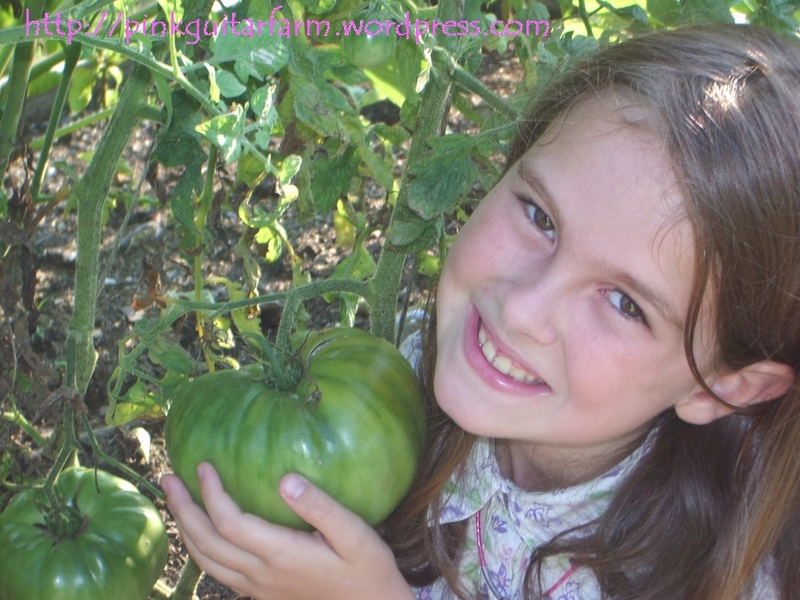 Hopefully gorgeous tomatoes!